Austrian mathematician; born at Ridka, Bohemia, Feb. 3, 1859; died at Prague June 18, 1904. He received his early education from his father, who was a teacher at Ridka; and from 1881 to 1887 he studied successively at the universities of Prague, Leipsic, and Erlangen (Ph. D. 1887). 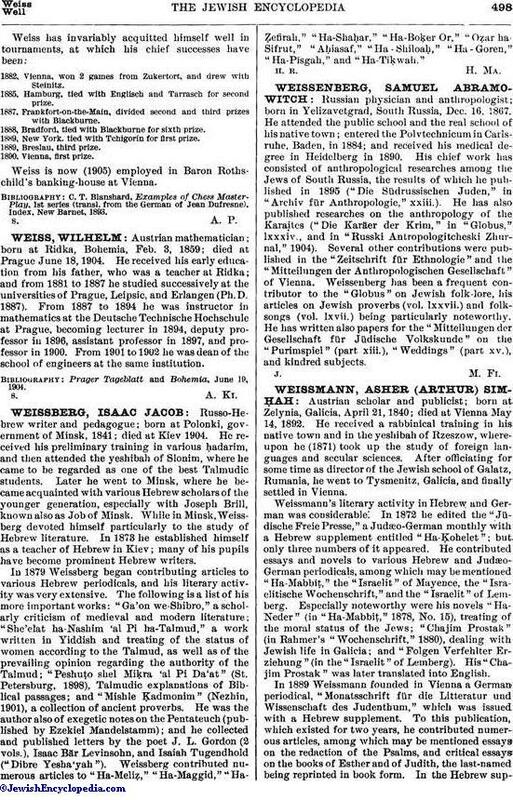 From 1887 to 1894 he was instructor in mathematics at the Deutsche Technische Hochschule at Prague, becoming lecturer in 1894, deputy professor in 1896, assistant professor in 1897, and professor in 1900. From 1901 to 1902 he was dean of the school of engineers at the same institution. Prager Tageblatt and Bohemia, June 19, 1904.